The Victoria Police Blue Ribbon Foundation perpetuates the memory of the 164 Victoria Police who have died in the line of duty through the support of worthwhile community projects within Victoria. To date 55 projects have been completed, providing critical infrastructure and equipment to public hospitals across Victoria, named in honour of members of Victoria Police who died in the line of duty. The Foundation is proud to provide awards that encourage training excellence during the initial phase of training for new Constables and Protective Service Officers at the Victoria Police Academy. These awards are named in honour of Constable Angela Taylor and Constable Tynan and Eyre. 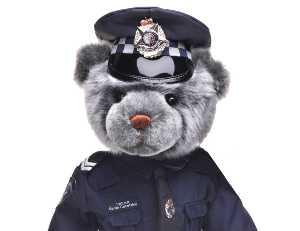 We also work in partnership with Victoria Police, Victoria Police Associations and community organisations to honour police who have died in the line of duty. One such partnership is with Victoria Police, Victoria Police Historical Society and the Victoria Police Association. We work together on a program to maintain the gravestones of police who died in the line of duty and also consider other memorials for those police officers. It is about respecting the service and sacrifice these members have made. The Foundation has established community programs such as the Spirit of Sport awards which were created to reward young participants in team sport for sportsmanship, fair play and mutual respect. In partnership with various sporting bodies and Victoria Police the program is widely supported in football and netball throughout country Victoria.